Totally Rockabilly, Handmade White Dice Ring. 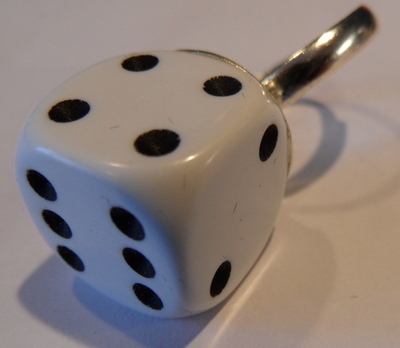 The 14mm White Dice is securely attached to an adjustable silver plated ring blank. Very funky, bright and fun to wear, and a very popular style just now.